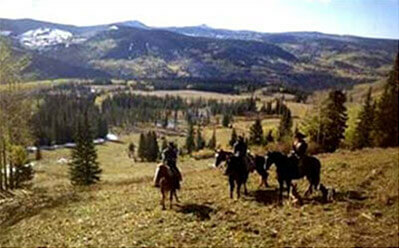 We offer a four to six man hunting camp, tucked into the remote and beautiful areas of the Routt National Forest. This package includes the flexibility of being packed in at the earliest of three days before the season begins, and at the latest, packed out two days after the close of the season, in our designated drop-camps. 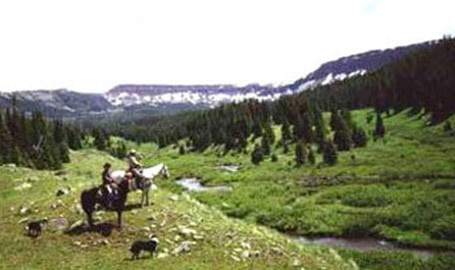 Sombrero Ranches, Inc. has four distinct drop camps in game management unit twelve of the Routt National Forest. 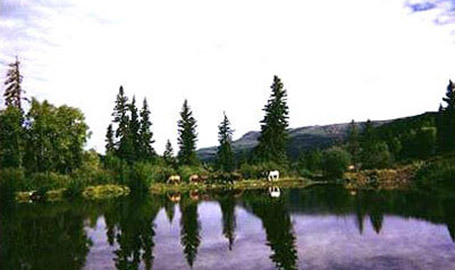 Our camp manager has more than twenty-five years of experience as an outfitter and horse camp manager and will make sure your hunting experience will be the highlight of your year. Shrivers Camp is located on the southwest slope of Pyramid Peak, at an elevation of about 10,650 feet. This camp is on the edge of the flattops wilderness and provides the easiest access into the wilderness area. High Camp is on the north slope of Pyramid Peak at an elevation of approximately 9,800 feet and is the most secluded camp we have. 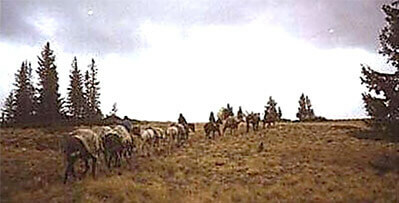 Sheepherders Camp is in Bunker Basin at a lower, more accessible elevation, but is still very secluded. It is located on the northeast slope of Pyramid Peak. Flower Pot Camp is a very comfortable camp and is located at a lower elevation than Bunker Basin. It is on the east slope near the base of Pyramid Peak. 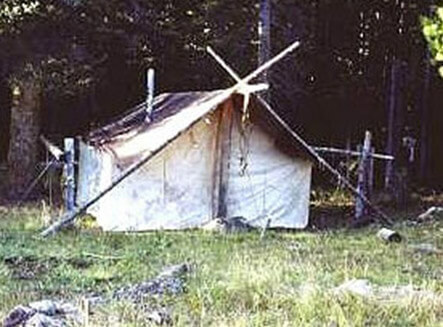 Our four drop camps include one 14’ by 16’ wall tent and one teepee. Your large wall tent will also have a wood stove, propane cook stove with fuel, cooking and eating utensils, an axe, hand-saw and shovel, and a tarp-covered, sawdust sleeping area. The wall tents are tall enough for most people to stand under, which allows for a good place for your party to congregate for meals. We take in-camp hunters every season, including: archery, muzzle loading, and all four rifle seasons. We have a warm, comfortable cabin that sleeps six guests at our Williams Fork Horse Camp. Your in-camp hunting experience will include a comfortable bed, hot shower, three meals a day, and a five-day guided hunt on horseback. The total cost for this trip is $3000.00 per person, which includes all amenities. Should you have a combination tag, elk and deer, the fee for the additional animal is $1500.00. There is a twenty-five percent non-refundable deposit required to hold your position on the hunt. All or part of this operation is conducted on public lands under special permit from the U.S. Bureau of Land Management. 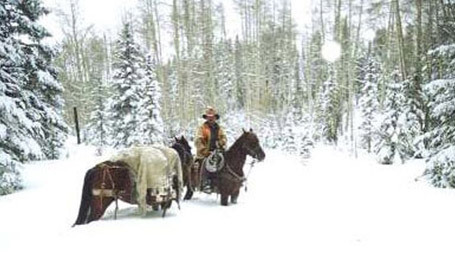 Sombrero is permitted on the Routt and White River National Forests. Sombrero Ranches, Inc., is licensed (#0000217), bonded and insured. We are an equal opportunity provider and equal opportunity employer. © Sombrero Ranches, Inc. All Rights Reserved. Professional Web Design by Pulse. Sombrero Ranches, Inc. is an equal opportunity provider.